FEI President HRH Princess Haya addresses the EU Veterinary Week conference in Brussels. 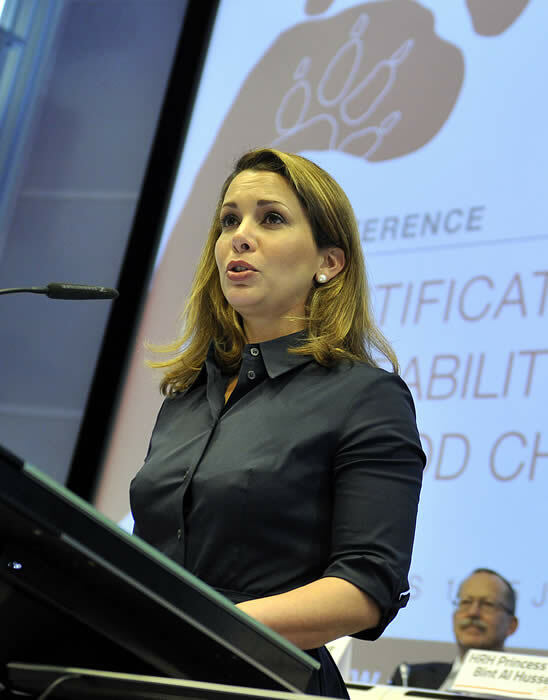 14 June 2010 – FEI President HRH Princess Haya has assured the European Union of the FEI’s support in promoting and improving standards in animal identification and traceability. Speaking to top European Veterinary officials attending the third European Veterinary Week (EVW) in Brussels today, the FEI President highlighted the need to create a clear distinction between the sport horse as an equine athlete and livestock that is part of the food chain. 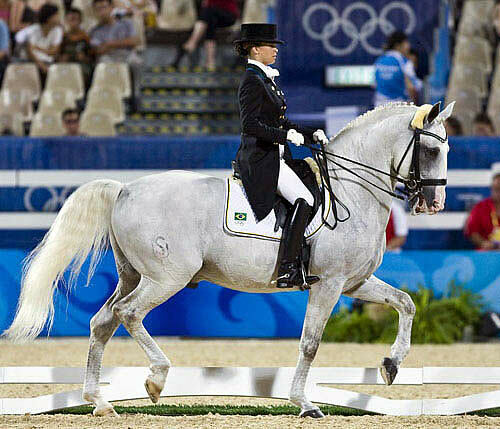 Identification and traceability are hugely important to the equine industry, she noted, helping to minimise the risk of disease-spread during the cross-border transportation of competition horses and also enhancing integrity and promoting public confidence in the equestrian industry. 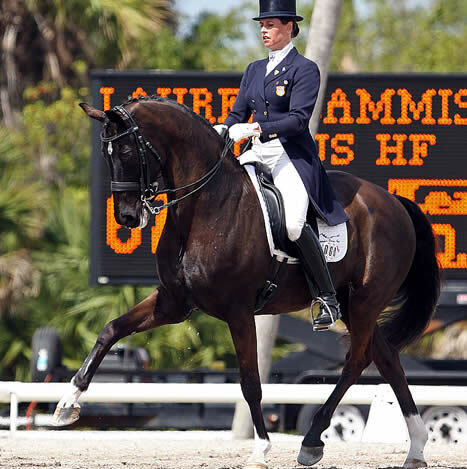 Koos de Ronde (Ned), winner of the CAIO Vecsés 2010. (c) Marie de Ronde-Oudemans. 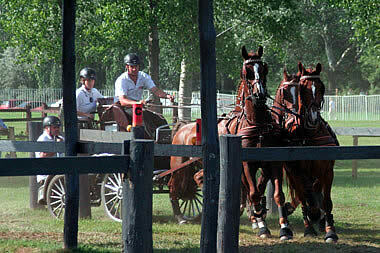 Vecsés (HUN), 13 JUNE 2010 – Dutch four-in-hand driver Koos de Ronde took the victory at the international combined driving event in Vecsés, Hungary. 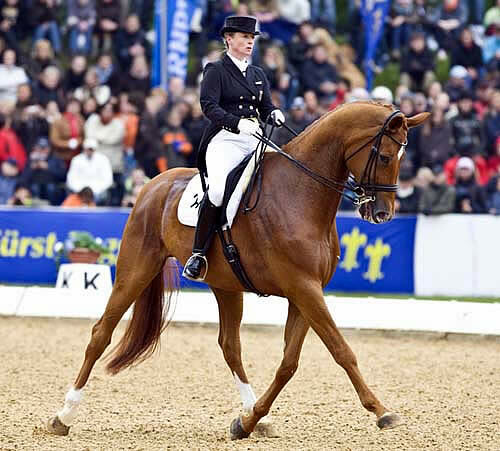 De Ronde stayed ahead of home driver Zoltán Lázár in this FEI World Cup Qualifying competition, where the horse teams also battled in the nations competition. 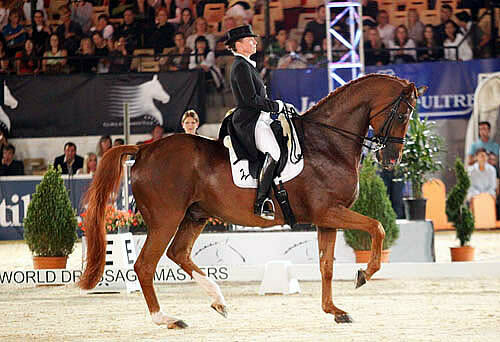 Switzerland’s Werner Ulrich came third, improving every event with his Lusitano team of horses. The temperature in Vecsés, the home base of the sympathetic Hungarian four-in-hand driver József Dobrovitz and his family, rose to around 30 degrees Celsius throughout the weekend. The organising committee had taken the necessary precautions to ensure the welfare of the horses and shortened the A-section of the marathon to 1,2 kilometres and lowered the pace of the walk section. All competitors got fifteen minutes instead the usual ten minutes rest at the obligatory halt in the marathon before the obstacle phase. This turned out to be a wise decision and none of the competing horses had any problems at the finish of the marathon. Allentown, NJ (June 11, 2010) – Chester Weber continued his long running winning streak in New Jersey, capturing the 2010 Four-In-Hand Garden State Driving Event Championship. 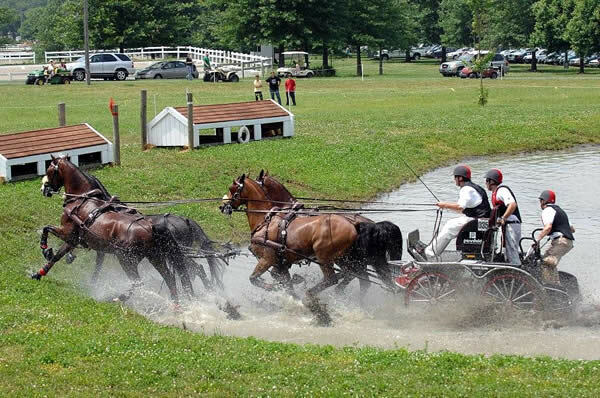 As the eight-time United States National Four-In-Hand Combined Driving Champion, Team Weber cruised to victory in all three phases of the Garden State event, a selection trial for the World Equestrian Games in Kentucky this fall. 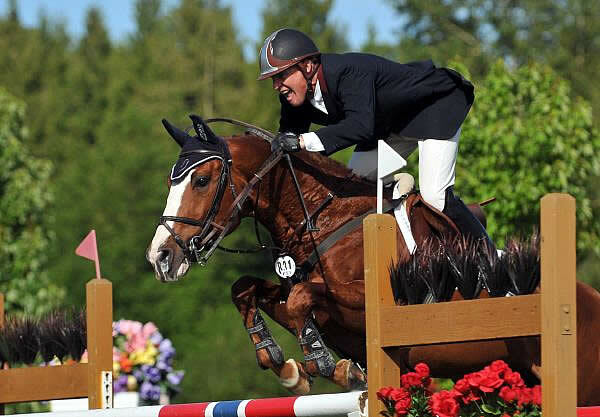 “The event went really well and the entire team, both people and horses, seems to be in top form leading up to WEG,” Weber said, adding that the heat and humidity did play a factor, especially for Reno, his six-year-old leader who seemed to have a hard time with it. Despite the weather, and footing that wasn’t ideal, Team Weber triumphed over 10 other four-in-hand teams, finishing with a score of 116.64 penalties while runner-up Josh Rector finished with a score of 140.67. Jimmy Fairclough, who has long been Weber’s top competition, went off course in the cones phase and was eliminated. June 11, 2010 – LEXINGTON, KY – The Alltech FEI World Equestrian Games, with several key sponsors and partners, will celebrate 100 Days to Go until the world’s most prestigious equestrian event comes to Kentucky with a celebration in downtown Lexington on June 17.